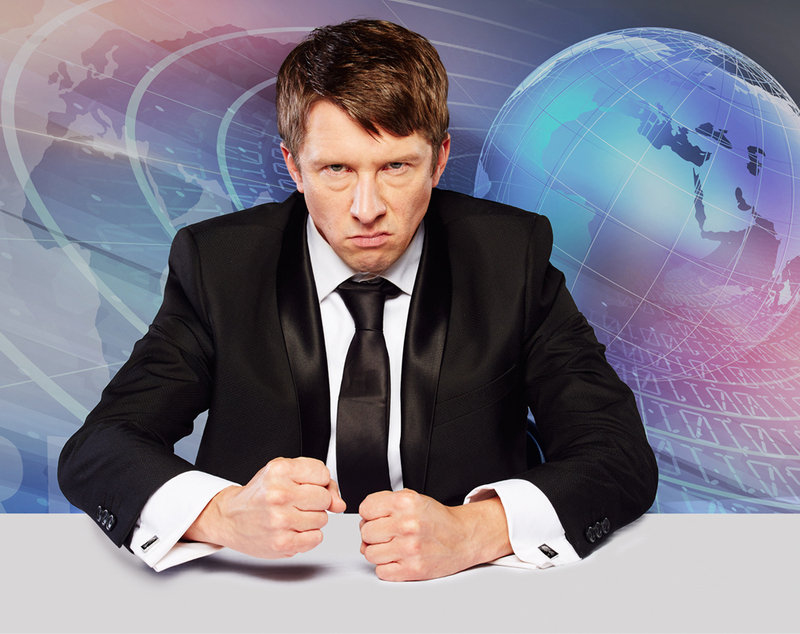 BRUTALLY honest political correspondent Jonathan Pie attempts to smash the system from within at St David’s Hall on Saturday 31 March 2018 – and tickets are on sale now! Following a sell-out 2017 UK tour ending at the London Palladium, the world’s most frustrated fictitious news reporter returns with his sharply observed and hilarious satire of current affairs entitled Back to the Studio. Since first appearing in September 2015, Jonathan Pie (created by British actor and comedian Tom Walker) has stirred up a storm on social media with regular video clips of his incredibly irate opinions on the state of UK politics. His debut post was released soon after Jeremy Corbyn’s rise to the Labour Party leadership, and his spoof reporting of Donald Trump’s presidential victory went so viral that some media outlets believed him to be a real-life reporter! PLEASE NOTE: The start of this show is 7.30pm prompt, and late-comers will not be admitted. Recommended age limit: 16+ (contains some swearing). Tickets are £24 (plus an optional £1 postage fee). £5 off for students and the unwaged.